Successful attackers routinely use evasion to evade baseline anti-malware tools and ultimately compromise endpoints. Evasion techniques involve shunning automated analysis environments, concealing malicious code inside document files that exist solely in memory of otherwise-legitimate applications. How can enterprises prevent such intrusions without relying on after-the-fact detection? This webcast, presented by SANS Reviewer Eric Cole, PhD, and Lenny Zeltser, VP of Products, Minerva Labs, will show a unique approach to preventing evasive malware from infecting endpoints. 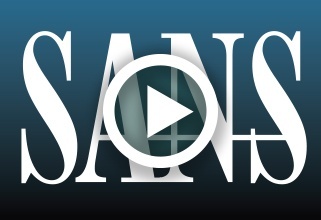 Following the webcast, you will recieve a full SANS Product Review of Minerva Labs' Anti-Evasion Platform.